Alert! Storm Season Has Arrived! Is Your Roof Ready? A recent wave of storms have resulted in widespread damage to residential homes. 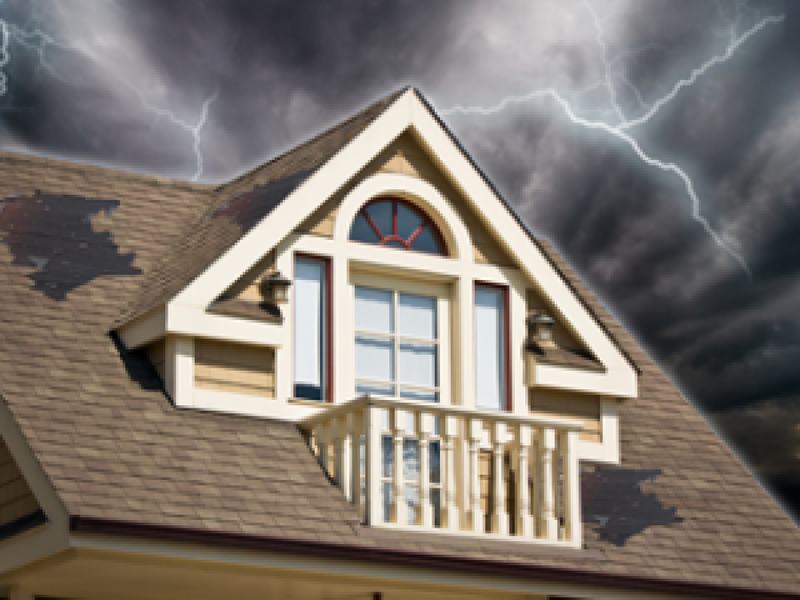 Falling trees, wind, heavy rains, and even hail can break, split and cause tear-off damage to traditional asphalt roofing materials, resulting in big repair or replacement costs. Today, contractors, roofers and homeowners have discovered that metal roofs can protect homes from extreme weather events more than ever. 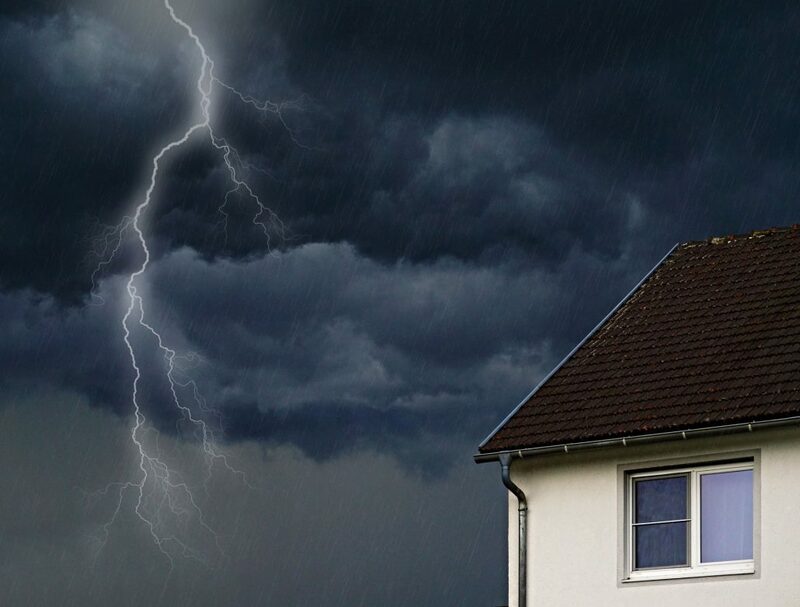 Most of the damage to a traditional asphalt roofs in a storm is caused by water damage to the contents of the house when shingles are fractured or in bad need of repair. When an asphalt roof has a crack or missing shingle, water can stream into the home and damage the home from the roof down to the inside contents. Severe or light water damage can then lead to mold and serious repair or even replacement bills and insurance claims. However, metal roofs are very tough and highly resistant to all types of storm damage - especially hail. Hail cannot penetrate a metal roof. In fact, most metal roofing solutions have the highest impact resistance rating - Class 4 - granted by the UL (Underwriters’ Laboratory). What this means to you is that a sample of the product did not crack when hit twice in the same spot by a 2-inch steel ball, which, in a storm, would translate into a huge hailstone. 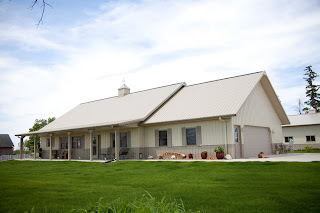 As a result of metal roofing’s superior performance in hail prone areas, some insurance companies even provide a reduced rate for homes protected by metal roofs. Ready to learn more? Let's Get Started Today! 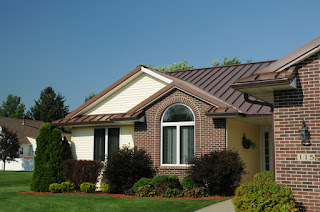 Call Residential Renovations to learn more about Metal Roofs by the local professional metal roofer at 419-691-3300 or check out our website at www.ResidentialRenovations.com for more information and great manufacturer offers! Unfortunately, asphalt roofs require periodic maintenance. Caulking for leaks, replacing worn or torn-off tabs is expected as normal maintenance within a roof’s lifespan of 7-17 years. However, a properly, professionally installed metal roof is maintenance-free. There are no interim repairs needed to maintain its performance. There are homes reported yet today with metal roofs installed since the early 1900’s, that are still in good condition today. But that's because metal is king when it comes to the ONE AND DONE SOLUTION. Traditional Asphalt shingles are heavy. One layer of composition shingle can weigh as much as or more than 3 lbs per square feet. A home with 2500 square feet of roof, two layers deep may have over a whopping 15,000 lbs of roofing bearing down on the structure! HOWEVER - Metal roofing is not only stronger, longer lasting and more storm-resistant, but is much lighter than asphalt roofing materials. 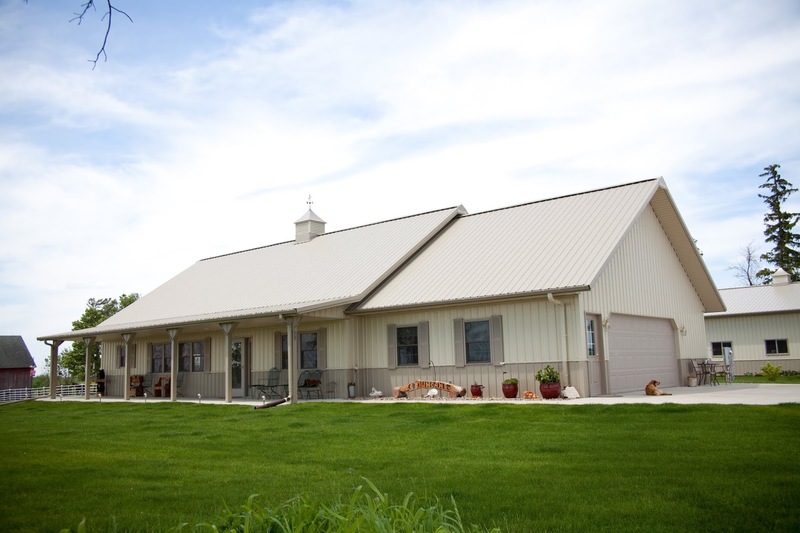 Metal roofing weighs approximately one seventh of a comparable composition roof, putting less stress on the house structure during the life and while weathering storms. Just the Facts for the ECO-FRIENDLY Roof Replacement BUYER! Did you know this about Metal Roofs? The type of roofing material used on a home has a measurable impact on the quality of rooftop rainwater runoff, which affects natural, agricultural, and human health. Due to water scarcity and contamination, harvesting rainwater for domestic use is becoming increasingly popular. Metal roofs are usually recommended as the ultimate roofing material for rainwater collection systems. Runoff from typical asphalt shingle roofs has been shown in research to contain traces of hazardous lead, arsenic, and mercury. Rainwater harvested from a metal roof is superior to that from an asphalt shingle roof in terms of total organic carbon, turbidity, and color. Runoff from asphalt shingle roofs has shown significantly higher concentrations of dissolved organic carbon, which can react with chlorine during disinfection to form harmful byproducts. Water from roofs with wooden or asphalt shingles can contain chemicals used for waterproofing and weathering treatments. Coated steel roofs, such as Matterhorn products, greatly reduce the amounts of zinc and copper released by traditional galvanized metal roofs. 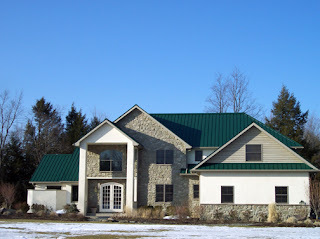 Call Residential Renovations to learn more about Metal Roofs at 419-691-3300 or check out our website at www.ResidentialRenovations.com for more information and great manufacturer offers! Cost Isn't Everything When It's One And Done! We've been talking a lot about the cost of the metal roof...and it's true - the initial outlay for a metal roof can seem on the surface more expensive than that of an asphalt shingled roof. But let me share this - a large percentage of the costs can be recouped, especially if you plan on staying in your house for a long time or selling it. While asphalt roofs will likely need replacing every 7-15-20 years, a metal roof can last a lifetime. Therefore, when choosing a roof style the next time you should heavily consider a metal roof over an asphalt roof! Call Residential Renovations at 419-691-3300 or check out our website at www.ResidentialRenovations.com for more information and great manufacturer offers!